The ACA offers an Open Enrollment period each year in which anyone can enroll or change their health plan regardless of preexisting conditions. 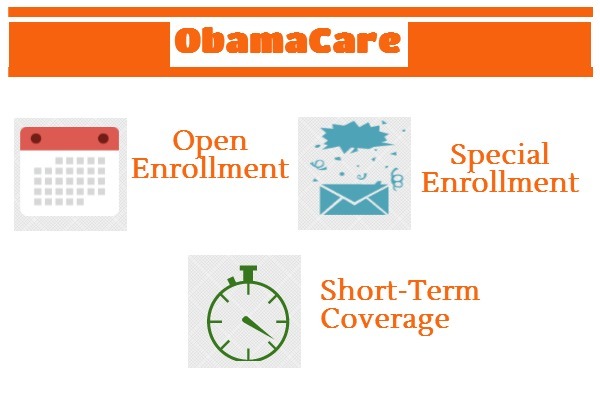 For 2015, the proposed open enrollment period is November 15, 2014 to February 15, 2015. By enrolling during this period in one of the Bronze, Silver, Gold, or Platinum plans you will avoid the ACA penalty as long as you make your payment each month. You may enroll through a broker, agent, insurance company, or through the federal or state exchange (whichever is offered in your state). Eligibility for premium subsidies and cost-sharing subsidies are determined based on financial qualifications and you are able to get this help through your agent or broker, not just directly through the Exchange. People who qualify for Medicaid or CHIP may enroll at anytime during the year. If you miss the ACA’s Open Enrollment, and don’t qualify for a Special Enrollment Period, there is another option called short-term insurance. Short-term insurance is peace of mind insurance generally for 18-85 year olds, that you can have for up to 6 months. It generally has a deductible that ranges from $1000 to $7500, you pay coinsurance and copays, and most plans max out at $2 million in coverage. This is just in case you get hit by a bus insurance so you don’t go bankrupt. Short-term insurance does not cover preexisting conditions, substance abuse, normal maternity, and preventive and wellness visits. This temporary insurance does not meet the minimum requirements under the Affordable Care Act, therefore even if enrolled in a short-term insurance policy you may be subject to an ACA penalty. If you’re ready to enroll in a short-term insurance plan call 800-930-7956 or contact Medicoverage for assistance.